Welcome to George Street Middle School's Department of Music! 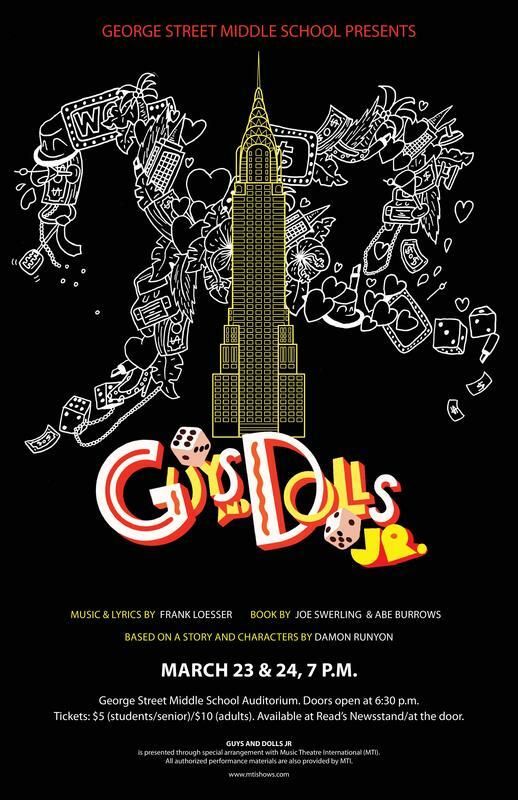 George Street Middle School presents: Guys & Dolls Jr! 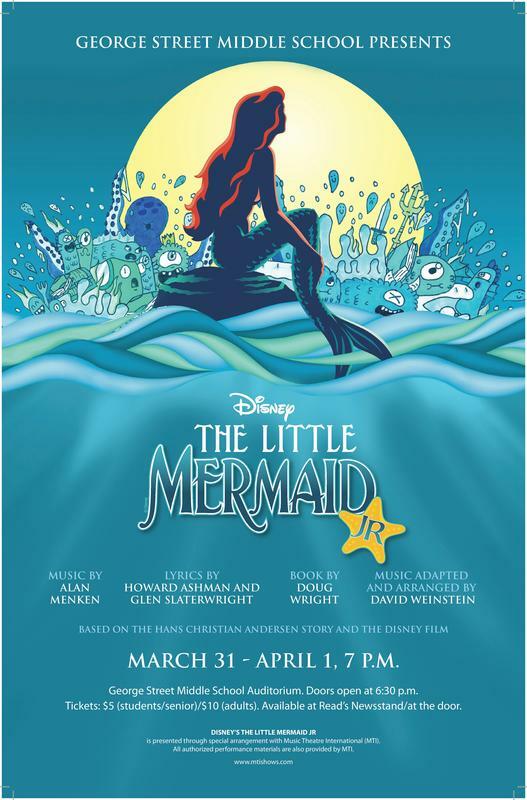 George Street Middle School presents: Disney's The Little Mermaid Jr! IT'S HERE! Our posters are printed and up around town! 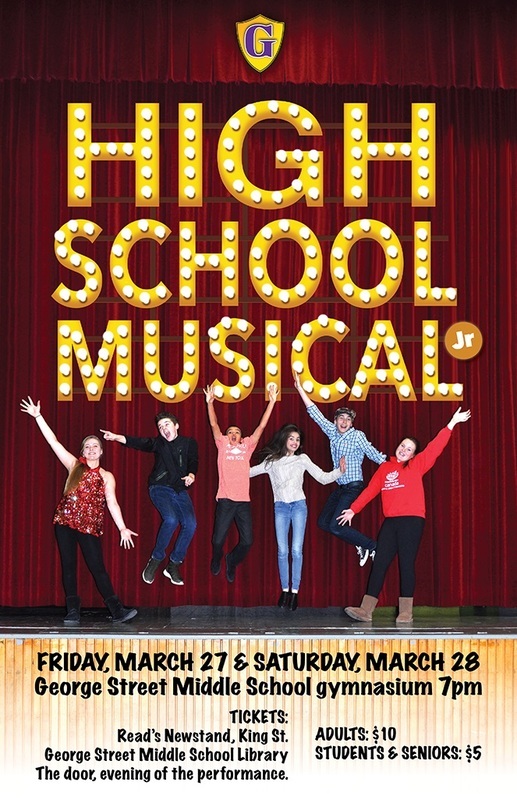 High School Musical Jr., coming soon to a middle school near you! Please refer to the tabs above for information on Grade 6, 7 and 8 Music, homework, our behaviour policy, Production, Band and Choir programs. Questions? Get in touch with just one click!